When Is Sedation Really Euthanasia? In the contentious debate over whether people have a right to die, the staunchest opponents on either side could usually agree on one point  that the terminally ill ought to be made as comfortable as possible in their final days. But a controversial procedure is now calling into question even that accord. Terminal sedation is the decision to keep dying patients, who cannot be made comfortable in any other way, unconscious until they die. 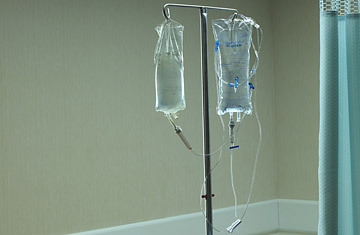 As a last resort, such drug-induced sedation is legal in most countries including the U.S., and it is widely accepted as a mainstay of end-of-life care. Opponents of terminal sedation argue, however, that some doctors misuse the practice as a substitute for euthanasia. A study published last week in the British Medical Journal (BMJ) indicates this may be the case in the Netherlands. Physician-assisted suicide has been legal there  though highly regulated  since 2001, but its use has dropped in recent years. At the same time, Dutch physicians have turned more often to terminal sedation to treat patients at the end of life  8.2% of all deaths in 2005 involved terminal sedation, up from 5.6% of deaths in 2001. These findings suggest that "continuous deep sedation has possibly increasingly been used as a relevant alternative to euthanasia," the study's authors write. "We do not know whether such substitution is always in accordance with the patient's wishes and with legal and professional guidelines." Palliative sedation is common practice in hospitals worldwide. Burn victims or patients in intensive-care units are often sedated while doctors perform sensitive procedures or determine the next best pain-management treatment. One thing that distinguishes routine sedation from terminal sedation is that the latter often goes hand-in-hand with cutting off other medications or removing a patient's feeding tubes. On its face, this may sound to many people as automatically hastening a patient's death. But that's not the case, says Dr. Ira Byock, chair of palliative medicine at Dartmouth Medical School, who has performed terminal sedation for his patients. "This is a practice, when used correctly, that's only done in the final stages of life," Byock says. "At that point, nutrition or antibiotics can usually do nothing to prolong life." Indeed, Dutch researchers found that in 94% of the 6,500 cases they studied, the patient was sedated for less than one week before death. Still, what's troubling about the new findings, Byock says, is the implication that doctors may be issuing the treatment either too early or without the patient's consent  or that they are using it to sidestep legal requirements to perform euthanasia. Nine percent of the patients in the study had in fact asked for euthanasia before being sedated. "Sedating someone until they die is a one-size-fits-all solution, but thoughtful pain management requires time and money," Byock says, noting that plans should always be discussed with patients and families well in advance. "One shouldn't be a substitute for another." How frequently terminal sedation is used in the United States has never been studied, but estimates range from almost never to as much as 50% of the time in hospice care. The practice has been sanctioned in the U.S. since 1997, when the Supreme Court, in a decision outlawing euthanasia, explicitly ruled terminal sedation legal under the Constitution. But the procedure didn't make big headlines until 2006, when some experts suggested that it may have played a role in the deaths of four critically ill patients trapped in a New Orleans hospital after Hurricane Katrina. (Louisiana prosecutors went further, charging the patients' doctor and two nurses with second-degree murder; a grand jury refused to indict them.) Two years prior, in a 2004 article in the New England Journal of Medicine, Dr. Timothy Quill, a professor of medicine at the University of Rochester, described using sedation to help his father die. Cases like these have fueled public unease with the practice. Still, palliative care specialists who have administered terminal sedation say that choosing to do so is rarely a difficult decision for suffering patients or their families. Rather, the option to sedate can be a tremendous liberation, says Dr. Porter Storey, executive vice-president of the American Academy of Hospice and Palliative Medicine. It relieves patients of their "fear of dying or not getting adequate help at the end of life," Storey says, before adding, "Good doctors don't intentionally shorten life."